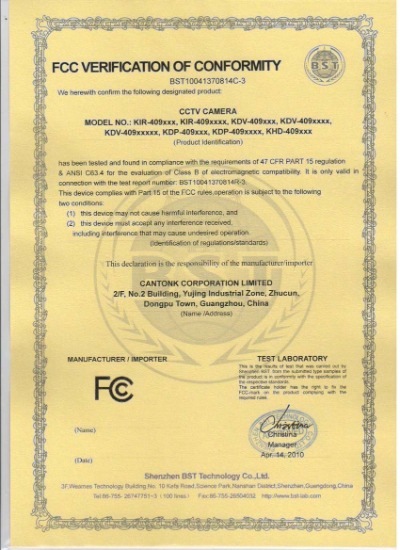 Cantonk Manufacturer--Your Reliable CCTV Supplier"Reliable Digital Security Solution Provider"--About CompanyCantonk Corporation Limited is a leading and professional CCTV manufacturer located in Guangzhou, China, and we are specialized in researching, producing and selling CCTV Cameras and Stand-alone DVRs with providing the most stable digital security solutions. Till now we have had products ranges including HD-SDI Cameras, Indoor and Outdoor cameras, PTZ Cameras, HD-SDI DVRs with more than 650 models. We are willing to make all of our employees be happy in working in Cantonk and make all of our reliable customers be successful in cooperation with Canotnk. 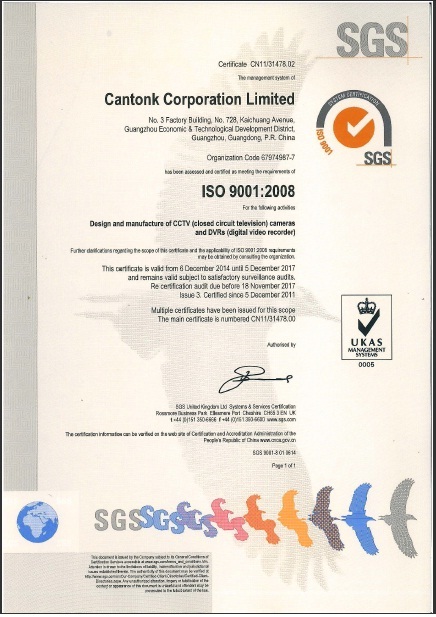 To strengthen our brand CANTONK, we have done a series of improvements: We have started to use ERP system to control our whole factory operations to make very process be standard; We have passed ISO9001:2008 to get our quality control be systematized; We have built-up our own housing factory to design new products to get high competition; We have well-trained our employees to have high work efficiency. Now our production output reaches 150000pcs/per month, and our sales amounts in 2012 are twofold of 2011. Our target in 2013 is twofold of 2012 on sales amounts. 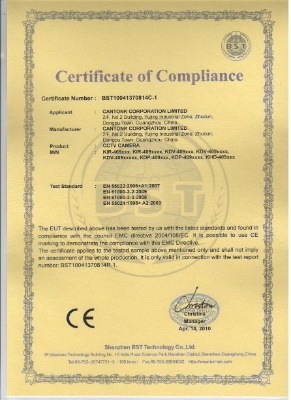 Technology Innovation, Absolute-advantage CCTV products, Considerate Customer Service are our direction of continuing fighting, and Cantonk would like to express "safety, warmness, and positive to the world". Welcome your visiting Cantonk Warranty Policy We provide 2 years guarantee based on our shipment date. If there is any product proven defective under normal usage, we will repair or replace it by free of Charge. 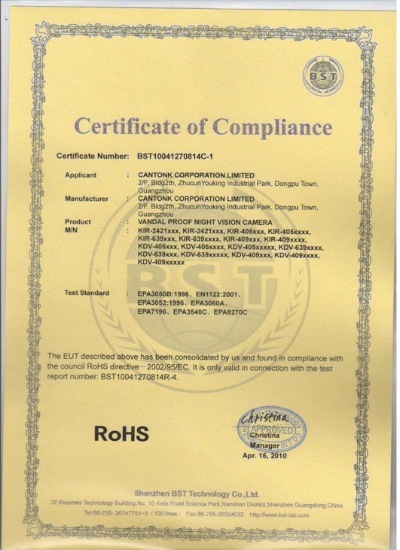 All of our products are passed strictly quality inspection before delivery.